SEOUL -- South Korea's leading automaker, Hyundai Motor, showcased the revamped version of Sonata, a trademark mid-sized sedan, to attract consumers looking for a high-tech vehicle with a beautiful design. The new Sonata was unveiled Thursday in an exhibition complex at the northwestern outskirts of Seoul. 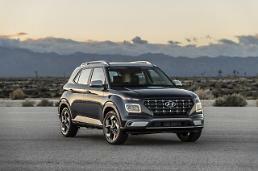 Hyundai applied its third-generation platform, which was designed to increase driving performance and safety by making the chassis lighter but stronger. 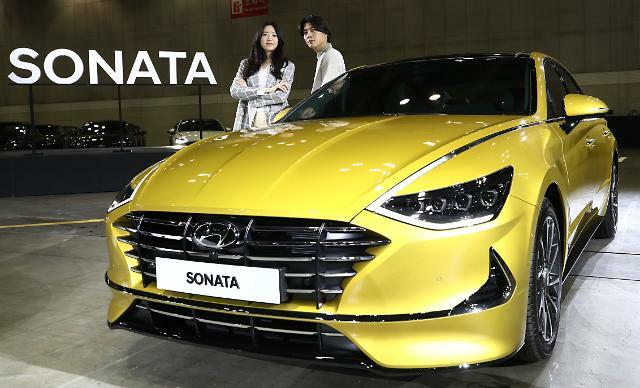 Sonata is Hyundai's iconic model which was released first in 1985 to satisfy the taste of middle-class South Korean dads looking for an affordable car with convenient features. 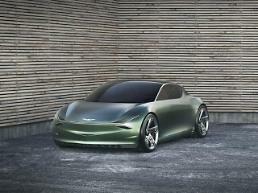 Traditionally, Sonata's design has been sleek, but Hyundai changed its concept for the new model. 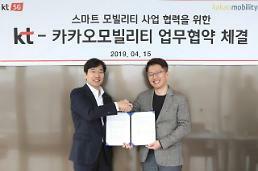 Hyundai's styling group vice president Lee Sang-yup said that it's okay for Sonata to lose the title of dad's car or people's car because the identity of mid-sized sedans has totally changed. "The identity of the new Sonata is that it wants to be a coupe-style sedan with the most beautiful design on the road." The new model with a coupe-style dynamic look is armed with air dams, vents and dimples which help stabilize the car during its high-speed run, and a pair of daytime running lights (DRLs), headlamps which stay on all the time for safety. The interior houses a stealth fighter-inspired design with top technology features such as a built-in dashboard camera, the personalized customization of seat positions, a premium sound system and smart driving features like a lane keeping assist system and a highway driving assist system. The heart of Sonata has also gone through a major change, fearing Hyundai's new fuel-efficient Smart Stream Engine. The cheapest trim of Sonata fitted with a G2.0 CVVL gasoline engine comes with a price tag of 23.4 million won ($20,753) while the most expensive trim costs 32.8 million won. The budget model with an L2.0 liquid propane injection (LPI) engine costs 21.4 million won.